I love grasshoppers! Her hands are so cute the way she gently holds him. So cute! 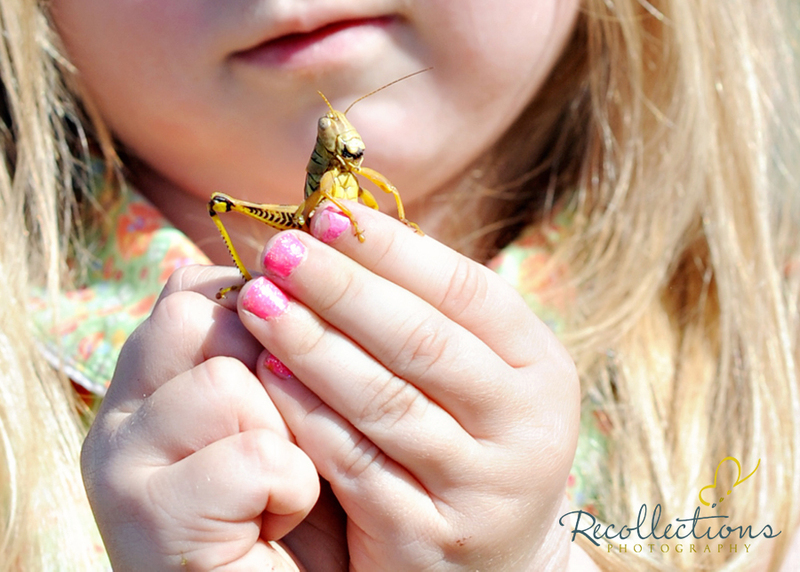 I love grasshoppers too - but NOT to hold!!!!! So darn cute!!!! Nice shot! and I can understand her being more interesting in the grasshoper! Thanks for your commment on my blog. The detail on the grasshopper is fantastic. The cropping really adds to the image as well. Well done!